In 1980 Frank saw a need for high level gymnastics in Winston-Salem and as such was instrumental in starting Salem Gymnastics. Frank earned an engineering degree from NC State and an MBA from UNC-Chapel Hill. For most of his working career he was a representative for IBM located in Winston Salem. Frank is the business manager for Salem Gymnastics & Swim. He is well traveled, enjoys scuba diving, spending time with his grandchildren, and driving his Mini Cooper. He loves to see children enjoy exercising and going home sweating and smiling! Beth has been flipping all her life, dancing, acting, and eventually making the first gymnastics team in Winston-Salem. Her love of the sport inspired her parents to open Salem Gymnastics Center in 1980 where she continued to teach and compete gymnastics, accepting a full gymnastics scholarship to Illinois State University. Fate dealt an interesting blow during the fall of her freshman year, when an uneven bar fall led to a torn ACL and reconstructive knee surgery. She spent the next four months in a full leg cast, six months on crutches and two years in rehab. She learned many things during this time, including both patience and a giant swing on bars, which she was the first ISU gymnast to compete. After college Beth came home and, along with her parents and husband, began running the family business. 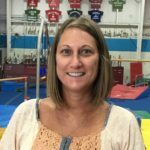 Beth has been a long time NC-USAG Board Member and a speaker at both USAG State and Regional Congresses, as well as an integral part of USAIGC Nationals from 1989-2001. Additionally, she is a founding member of Motion Evolution, serves in lay leadership at St. Timothy’s Episcopal Church and loves to travel and listen to Jackson Browne. Beth is married to Kenny Morphis and has two awesome children, Jon and Page. She loves working at Salem with her husband and father, and feels very fortunate to have a job she looks forward to going to every day. Her hope is that the lives she touches will take the lessons learned and continue on to greatness wherever they go. Kenny has been active in sports all his life. A native of North Carolina, Kenny’s family moved to West Berlin, Germany in 1963 where he grew up. Kenny attended the Berlin Military School system, graduating in 1977 from Berlin American High School where he was a member of the soccer and football teams. Upon returning to the US, he attended Gardner Webb College where he was a Physical Education major with a Psychology minor. Kenny was a member of his college tennis team as well as an avid intramural participant. 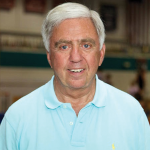 Kenny began working at Salem in 1984 and has been Head Coach of the girl’s competitive teams for over 35 years. Kenny is married to Beth and they have two children, Jon, who works in the family business, and Page, who attends Calvary Day School. Kenny and Beth are Co-owners of Salem, along with Beth’s father, Frank Minter. Beth-Anne started at Salem in 2002 as a manager and teacher for Karate International. She received her 1st Degree Black Belt in 1999 and is currently a 3rd degree Black Belt. 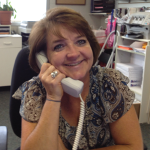 She began working in the Salem office in 2006. Working for Salem was a natural transition considering she has had a child involved in every aspect of the Gym at one time or another. Her son, Dalton, got his Black Belt from Karate International and was on Cheer Extreme’s first Co-ed team at Salem. Her daughter, Devin, was on the Salem Dance Team and teaches dance-nastics and camps at Salem. Her daughter, Dani, was on Salem’s Gymnastics Team and now coaches preschool through Blue Team. Beth-Anne has been married to David Brown for over 25 years and currently lives in Pfafftown. Devin began at Salem as a six-year-old karate students, enjoying classes while her mother taught karate. When she was eight years old she started on the Salem Dance Team and discovered her passion. Devin continued dancing on the Reagan High School Dance Team and taught dance here at Salem. Devin taught many summers at Salem’s Princes Dance camps and other Totally Kids Camps. After high school, Devin attended East Carolina University where she earned a degree in Hospitality Management. She currently is a preschool teacher at Parkway Preschool and works part-time in our Front Office. Devin married her high school sweetheart in November 2017 and they live in Rural Hall. Jeff is from upstate New York and moved to North Carolina for college and golf. If someone had told Jeff when he was growing up that he would end up being a gymnastics coach, he would have told them that they were crazy. In 1991 Jeff took a summer job at Salem “flipping kids” and has never looked back. 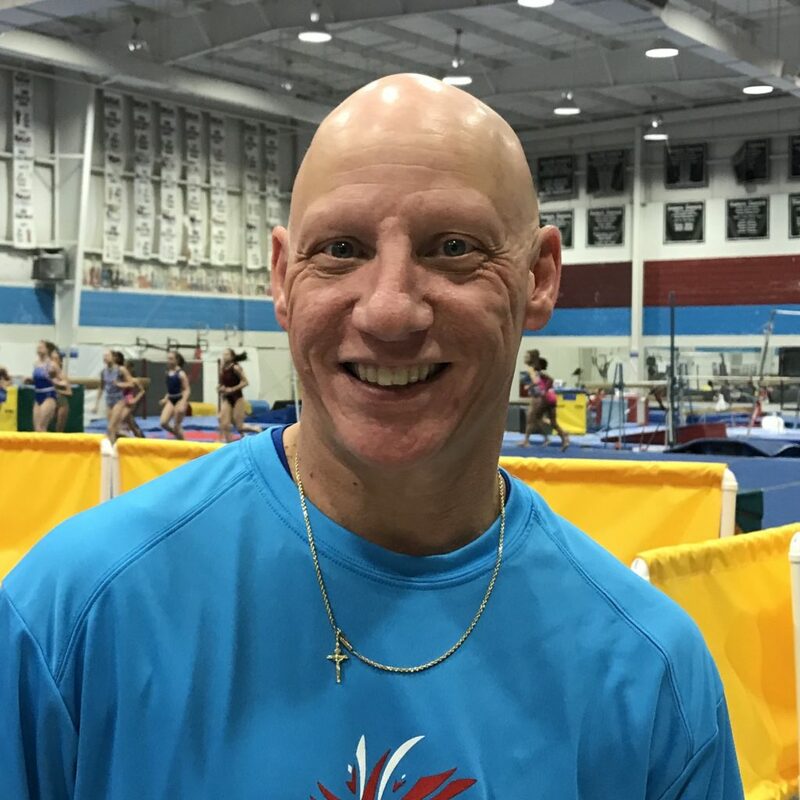 “I’m very happy that I took that job because I love coaching and I look forward to going to work everyday.” Jeff does a little of everything at the gym, serving as Department Leader for the Gymnastics program, Tumbleweed teacher, Team Coach, and anything else that is needed. 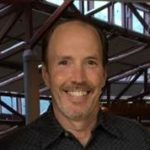 He is also in charge of staff training – “its fun to pass on what I have learned to new staff members.” Over the years Jeff has been a speaker at NC State clinics and always draws a crowd. Jeff is married to Ms Charlene who also works at Salem and has 2 children, Coby and Gracie. Originally from upstate New York, Charlene was a competitive gymnast under the direction of former Russian National Gold Medalist Yury Tsykun, and studied dance at numerous dance studios for most of her childhood. 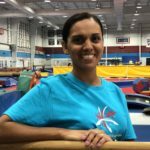 After college she was the gymnastics and dance director for the Albany YMCA for ten years before moving to North Carolina and her current home at Salem Gymnastics. 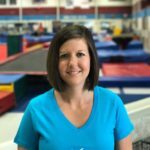 Over the years Charlene has coached numerous State, Regional and National Gymnasts and Dancers. 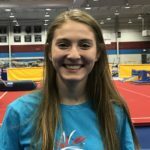 She currently teaches parent-tot through team gymnasts, is the Director of Camps & Special Events and is the overall Program Coordinator at Salem. Charlene lives in Clemmons with her husband Jeff and two children, Coby and Gracie. Beau has been involved in gymnastics his whole life. He started preschool classes at 3 years old in Greensboro where his coaches noticed his talent from the start. As a boy he also played baseball, basketball and soccer and was also involved in martial arts, but gymnastics was the one sport that he always loved and was devoted to. 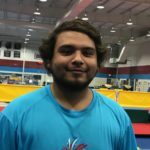 Beau joined the power tumbling and trampoline team at Tumblebees in Greensboro where he competed from the age of 8 up until he was 18 – and won 4 U.S. National Championship Titles! He started coaching at the age of 16 and it quickly became his new passion. 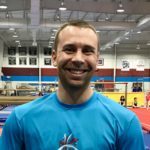 In 2005 he started working for the world’s largest traveling camp company for tumbling and cheerleading, Spring Tumbling Camps. He coached in all parts of the U.S. as well as Toronto, Montreal, Vancouver and Paris, France! 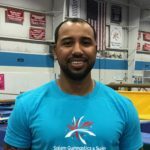 He has been on staff for major gymnastics and cheerleading camps including Lake Owen (Wisconsin) and Cheer/Gym (Montreal). He views his greatest achievement by far to be playing a role in getting aspiring athletes onto high school and college teams. Beau works in all areas of the company. 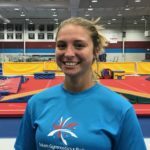 Arien is originally from Beaufort, N.C. and has spent most of her life dedicated to the sport of gymnastics. 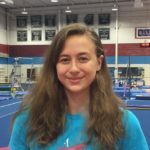 She was coached by Mike Underwood through USAG Level 10 and was a member of the 2002 Region 8 JO National Team. 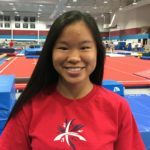 Arien continued her gymnastics career at North Carolina State University where she specialized on balance beam. In her sophomore year she suffered an ankle injury that prevented her from competing for two seasons. It was during this time that she fell more in love with coaching and motivating her teammates. This time helped shaped her into the coach that she is today. 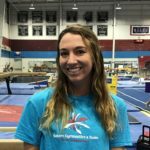 Upon graduating from N.C. State with a Undergrad in Sports Management she decided to move to the Winston-Salem area where she got to work with and learn from her club gymnastics coach, Mike. 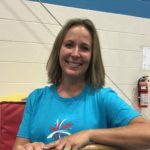 Fast forward 12 years later, she has had coaching success at the State and Regional level and is eager and excited to create young and well-balanced gymnasts. Arien and her husband, Chris Young where married in June of 2013 and they have two young boys, Skylar (4) and Layton (2). They hope to continue to spread the joys of gymnastics and encourage the youth in our community! 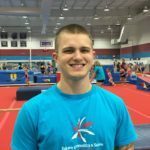 Chris started gymnastics right here at Salem Gymnastics when he was 9½ years old. 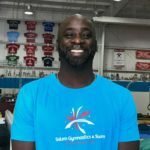 He trained at Salem with his longtime coach, Bob Kohut, through high school, becoming back-to-back National Vault Champion in 1991-1992. Chris attended the University of Minnesota, then came back to North Carolina to train again with Bob to chase his dream of becoming an Olympian. In 1997 Chris moved to the Olympic Training Center where he became a National Team member. He went on to compete for the USA Men’s National Team in the Pan-American Games where the team won the Silver Medal. 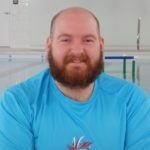 Next, Chris earned a spot on the 1999 World Championship Team that took 6th in the world, helping the USA to qualify for the 2000 Olympic Games. An Achilles tear in January 2000 stopped his Olympic dream from coming to fruition, however he did compete at the 2000 Olympic Trails. Chris has coached boys gymnastics ever since then, and now he is back where it all started. Chris’ dream is to help the boys that he coaches become strong men in their community. He is married to Salem coach Arien, and has four children: C.J, Christiana, Skylar & Layton. Sydney graduated from the University of North Carolina at Greensboro earning a Bachelor Degree in English Literature and a minor in American Sign Language. She was a competitive gymnast as well as a NCAA Cheerleader. She has coached gymnastics for over a decade, taking time off only to finish school and raise her now teenage son. Growing up in a missionary household has allowed her to travel to over ten countries. Occasionally she is asked to be a guest speaker on a local radio station to talk about music and other topics. Sydney’s hobbies include playing the guitar and volunteering for Red Dog Rescue. She is extremely excited to be coaching gymnastics again, especially here at Salem. Erin is originally from Stuart, VA and has practically grown up in the gym. 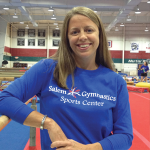 She began gymnastics at Salem as a parent/tot, and continued in gymnastics when her mother, Holly, opened her own gym. Erin was 6 years old she began competing in gymnastics and was 12 when she started teaching. 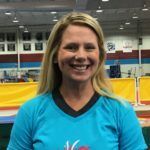 She competed through her senior year of high school and then took a job coaching gymnastics in Asheville, NC where she coached several state and regional champions. 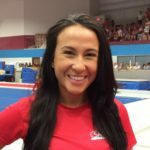 Erin returned to Winston-Salem in 2017 and began coaching at Salem Gymnastics. 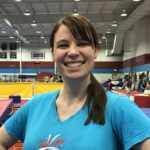 She is thankful for the opportunity to work with so many different and talented children, and hopes to help teach them valuable lessons for both the gym and life. 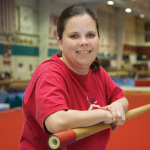 Heather is a gymnastics coach from Kernersville, NC and has been involved in gymnastics since she was four years old. She is a former Level 8 competitive gymnast. 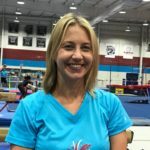 After meeting some great goals of hers at the Southeast Regional Level 8 Championships in 1999, she transitioned into cheerleading which she continued to pursue for the next 10 years. 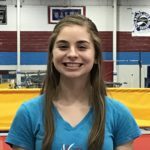 She continued to use her foundational tumbling skills from gymnastics throughout her competitive and collegiate cheerleading years. 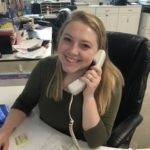 Heather attended UNC Wilmington and Appalachian State University, and graduated with a Bachelor of Science degree in Elementary Education in 2009. She has been coaching gymnastics over the past 5 years. 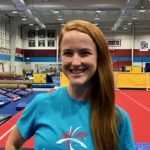 She has a passion for working with children and values the opportunity to teach life lessons through coaching gymnastics. Annel grew up in Mexico where she was a gymnast for five years. She was on the competitive team and traveled a lot. 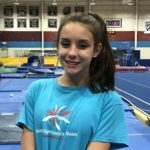 An injury stopped her gymnastics career and she turned to all kinds of other sports such as basketball, volleyball, dance, ballet, and weightlifting where she learned that being a gymnast gives you the foundation to be good in any sport! In college Annel returned to gymnastics, this time as both an athlete and a coach. 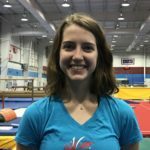 After graduating from college she moved to the USA and has been looking forward to the chance to share her passion and knowledge about gymnastics with the children here. As a child, Sarah was a Salem gymnast for eight years. 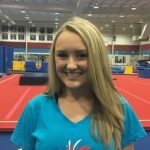 She spent four years as a competitive gymnast and made it to Level 7 before her family moved to Boone. Sarah continued gymnastics New River Gymnastics where she achieved Level 9. 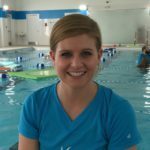 Sarah taught gymnastics at New River for two years, and then opened her own little gym at her parent’s business, Deer Valley Racquet Club. In 2018 Sarah returned “home” to Salem where she returned to coaching, and loves it! In her spare time Sarah enjoys being with her friends and family, hiking, swimming, hanging with her dog, and learning about turtles and dinosaurs. Her favorite quote comes from Joshua 1:9 “Be strong and courageous. Do not be afraid. Do not be discouraged. For the Lord your God is with you wherever you go. Tiffany grew up outside Raleigh, and has done gymnastics as long as she can remember. She is the youngest of 5 girls in her family, all of who have been involved in gymnastics. Her oldest two sisters are coaches now as well! “I remember my older sisters spotting me on cool tricks when I was in preschool.” Says Tiffany. “That developed such a deep love for the sport which I now get to pass on to so many at Salem!” She competed off and on until the age of 16 and retired as Novice State Champion and 3rd Place All-Around for Level 6. She got back in the gym last year after bringing her 2 year old son Levi to the parent/tot class at Salem. “I have so much joy coming to work, knowing I get to do what I love again!” says Tiffany. Samantha was raised in Lexington, NC, and is a graduate of The University of Kentucky, and Wake Forest University School of Law. 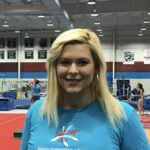 She has experience as both a college cheerleader and in all-star cheerleading, and she taught various age and skill levels of gymnastics for over five years at Central Carolina Gymnastics in Lexington, NC. Her favorite thing to teach is tumbling. 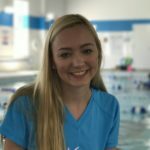 Says Samantha, “I like teaching gymnastics because for me it has taught me a lot about myself and has made me a better, more effective communicator. I like working with students to achieve goals they set for themselves. There is nothing better.” Samantha’s interests include Tax Law, sports, and traveling. 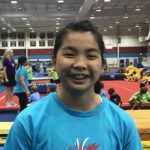 A high school student at Calvary Day School, Grace has spent the majority of her life in gymnastics. She has so much passion for this sport, and loves doing the vault the most. Grace enjoys doing art and spending time with her family and friends. She plans to pursue engineering or architecture after college. Grace loves teaching gymnastics and being with little children. Carrie has been involved in athletics her whole life. She grew up near Atlanta playing soccer, swimming, and playing tennis for both her high school and college. Carrie graduated from Queens College with a BSN, and worked as a high-risk neonatal nurse before starting a family. She is happily married to Aaron and has four children who are active as well, one who was a Salem gymnast through Level 8. While at Salem, Carrie was very actively involved in the Booster Club, serving in many capacities including BC President. In 2009 the Petersen’s moved to Boone where Carrie and Aaron ran Deer Valley Racquet Club. After nine years they have returned to Winston-Salem where Carrie is very excited to be back “home” on the team at Salem. One thing she has learned is that life is a journey and things happen for a reason. 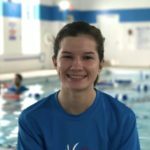 She is so happy to be Swim School Director where she can be actively involved in helping our staff and students become the best version of themselves they can be! 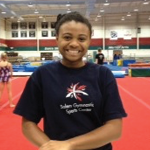 Destinee is very familiar with Salem, having done gymnastics here when she was younger. 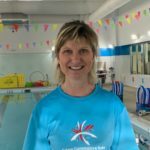 In addition, she has ben dancing at In Motion studio since she was five years old and has been a swimmer since a very young age. Destinee loves kids, having volunteered at VBS every year since she was twelve. She is a student at West Forsyth High School where she is in the National Dance Honor Society. 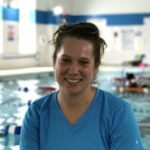 Amanda started swimming at her neighbored swim club at a young age and fell in love with the water. 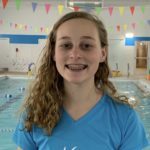 She was a competitive swimmer till high school where she is now a senor at Mount Tabor High School. She is very involved in Best Buddies, Chick-Fil-A and serving through her church. After high school she hopes to attend Marshall University to be come a history and special needs educator. She believes that we should all take part in teaching the further generations and helping in our community. 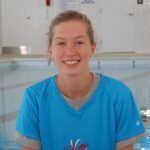 Alexis began swimming as a young child when her family became members of the local pool. She loved it, and quickly became one of their most frequent attendees. 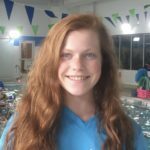 She continued to swim through the years, and with her high school in Provo, Utah. In college, at Utah Valley University, she pursued her goal of becoming an elementary school teacher, and spent a year working in a kindergarten classroom, loving every minute. Her school career was put in hold when she had a baby girl of her own. She now has two beautiful girls who have attended both gymnastics and swim at Salem Gym. Alexis’ love of teaching and children has kept her in the classroom-working in local preschools. She is excited for this opportunity to broaden her teaching horizons and work more with kids. Because his mother was a lifeguard at the local pool, Parker began swimming when he was just a few days old and has loved the water ever since! He grew up in suburb of Houston, Texas, where there was an abundance of neighborhood pools and where he spent his sunny summer days swimming. He loves being in the water, whether oceans, lakes, rivers, creaks, or pools, and feels most comfortable in the water. Parker graduated college in 2015 with a Bachelors of Arts in English. He loves being with kids, and has been working for the past year here in Winston-Salem with the Centers for Exceptional Children. Besides swimming and teaching children, Parker enjoys poetry, the color green, and baking bread. Jack has always loved the water, and learned to swim when he was 4 years old. A year later he joined Jonestown’s Swim Team here in Winston-Salem and swam on their team every summer until he was 12, when he joined TYDE. Once in high school, Jack joined the West Forsyth Diving Team where he was voted Team Captain. 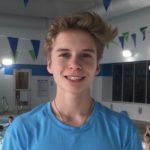 In addition, Jack enjoys diving for the Tumblebees Dive Club, and he has always enjoyed working with children, volunteering each week in children’s liturgy at his church and serving as a camp counselor during VBS. 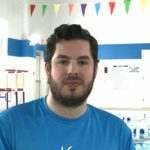 Says Jack; “I am so excited to teach kids my knowledge and skills in the water, and to see them excel in confidence, athletics, and of course have fun! Zeke learned to swim when he was 3 years old, and started swimming competitively at the age of 9. 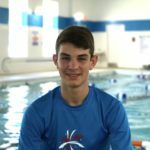 He swam for Shallowford Lakes, in high school with the Forsyth Hawks, and in college at both High Point University and Appalachian State. 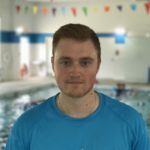 Zeke has extensive experience with coaching swimming, having spent 6 years coaching at Shallowford Lakes during the summers, and coaching the 6th-9th grade swim team at Summit School. He is currently finishing his undergraduate degree in Cell and Molecular Biology at Appalachian State University and has plans to continue on to Law School. Since she was young, Alexia has loved the water. Growing up with a pool in her front yard and three energetic younger sisters, she has spent a lot of time in the pool! Alexia is currently a student at West Forsyth High School and she plans to further her education by earning a degree in Biology. She loves children, babysitting and volunteering whenever she can. Brendon has been swimming for as long as he can remember. He is a junior at Campbell University studying Political Science Pre-Law and plans to attend law school, eventually becoming a sports agent. He loves sports, specifically baseball, football, hockey, basketball and MMA to name a few. He also enjoy hiking and camping. Brendon’s favorite quote is “Be yourself, everyone else is already taken”. 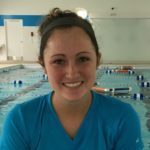 Sarah is a student at Appalachian State University studying Health and Physical Education. She has been swimming since she was three and has loved the water ever since. Sarah was on her high school varsity team all four years along with being a part of ASU’s Club Swimming her freshman year. She is now on the Women’s Ultimate Frisbee team, which is ultimately her favorite sport. 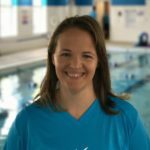 Sarah has been a lifeguard for six years along with being a swimming instructor for young children. 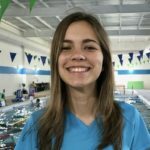 She loves to work with kids who are willing to learn and excited to get in the water! Her favorite animals are otters because of how cute they are and how well they glide through the water. 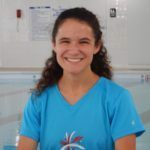 She hopes to help children fall in love with swimming just as she did by providing a fun and safe environment to learn. Sully has always loved water, getting his Lifeguard Certification at a young age. He attends Reynolds High School where he plays lacrosse, and will soon be starting his Eagle Scout project. Sully is Patrol Leader for his troop, and looks forward to working at Salem Swim. Sharon has always had a love for being in the water; she could swim before she could walk. She grew up in Florida and her earliest memories are of swimming, water skiing, boating and fishing. Sharon and her husband Rick and their two daughters, Ashley and Blaire, moved to Winston-Salem 17 years ago. Sharon recently retired from being the Director of Children’s Ministry at First Presbyterian church. 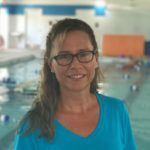 Now that she has some free time, Sharon says: “I am excited to be an instructor at Salem swim which will allow me to combine my love for children and the water”. 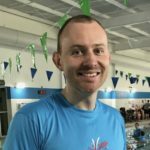 Patrick grew up in Asheville, NC, where he taught lifeguarding and swim lessons through the American Red Cross for ten years. His early swim career culminated in a 3-mile swim at age 12. He attended Western Carolina University, earning a Bachelor’s Degree in Music Performance and a Masters Degree in Teaching. Having taught math for nine years, Patrick now teaches at Mount Tabor High School. His hobbies include strength training, chess, tennis, and reading. 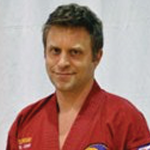 Rob is a 3rd degree black belt and has been chief instructor at Salem Gymnastics since 2008. He has a degree in commercial art and advertising design, and is currently employed doing computer graphics. In his spare time he enjoys biking, cooking and music. In addition to Sanshinkai, Rob has trained in Tae Kwon Do and Brazilian Jujitsu, and is currently training in Krav Maga.